He was Regiment and Division Wagoneer. 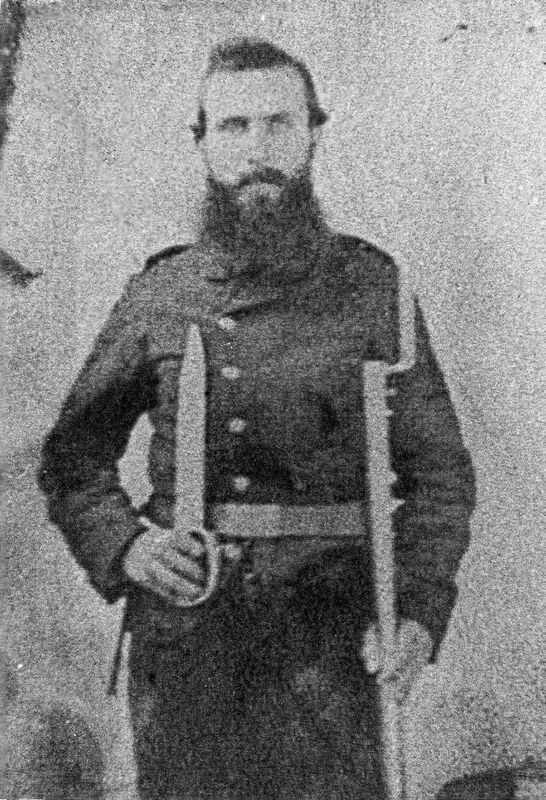 5th Alabama Infantry New Co. H.
Born March 30, 1829, enlisted in the 41st Alabama Infantry Regiment Co.K. Incorrectly reported KIA at Battle of Stone's River/ Murfreesboro, Tenn. later recorded as wounded and captured and sent to Camp Douglas, Ill. Paroled at Camp Douglas 30 March 1863. He was left sick at Knoxville, Tenn. and captured again there and was later sent to Rock Island Barracks, Ill. in 26 Jan. 1864 and was paroled there 21 June 1865. William P. Burgess...............41st Alabama Infantry Co. C.
J. S. Burgess.........................41st Alabama Infantry Co. C.
Andrew Burgess..................41st Alabama Infantry Co. C.